In analytical psychology, the symbol plays an important role in the development of the personality. C.G. Jung (1921/1971) suggests that a symbol “is the best possible expression for something that cannot be expressed otherwise than by a more or less close analogy” (CW6, para. 93, n. 44). Elsewhere, Jung writes that “Every psychological expression is a symbol if we assume that it states or signifies something more and other than itself which eludes our present knowledge” (CW 6, para. 817). A symbol has an irrational component that cannot be adequately expressed in words. 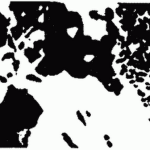 One can only partially perceive or apprehend it, and thus, the symbol must be felt through accordingly. Because symbols are irrational they have the capacity to unite the opposites into a third thing which can serve as a bridge between consciousness and the unconscious. Thus, symbols could be viewed as figurative stepping stones to new knowledge. Knowledge, after all, would not be possible without the psyche’s natural capacity to form symbols and present them to the conscious mind. The formation of symbols is a continuous and natural process which occurs whether we are conscious of it or not. Symbols often appear within the psyche as dreams or waking fantasies, but can also appear as somatic symptoms or moods. In analysis, after reductive and causal explanations have been exhausted, the constructive or synthetic approach may be applied to facilitate the creation of symbols. Figure 1. The symbol suggests a quality not unlike the Roman god Janus. To understand the meaning of a symbol, it is helpful to turn to the word’s etymology. The word originates from the Greek symbolon, which means “thrown together.” Symbol in German on the other hand is translated as Sinnbild, which can be divided into two parts: Sinn and Bild. Sinn suggests “meaning,” whereas Bild connotes image or form. The Sinn is the conscious part of the symbol whereas Bild is the part that is linked to the unconscious. 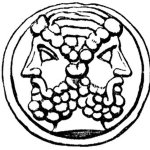 So in this sense one could say that the symbol is Janus-faced (figure 1). One half of symbol faces the exterior sphere of the conscious world whereas the other half is turned toward the interior sphere of the unconscious. The symbol has two faces, and looks both inward and outward. This metaphor is helpful at showing how the symbol serves as a bridge between consciousness and the unconscious. So symbols have a relationship with both signs and images, in fact, they could be viewed as a hybrid of the former and the latter. 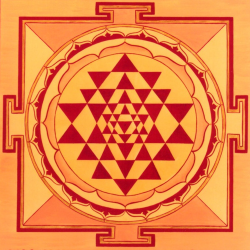 Ultimately, a symbol could be viewed as a gateway to the unconscious. Figure 2. Symbol or Sign? Not everything is a symbol. Jung distinguished between symbols and signs. Whereas symbols are still connected to the living tissue of the psyche (i.e., archetypes), signs are cut off and no longer possess a numinous quality. Signs are completely known and refer to semiotic referents. 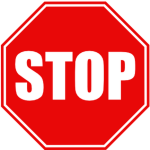 For instance, when a person sees a red octagon marked by the letters, S-T-O-P, there is no question what the stop sign means (unless of course the person does not speak English) (figure 2). After all, it means exactly what it says: “Stop!” However, what if one were to come from a distant land that did not have roads and thus no road signs, and where no one speaks English? How would they perceive a stop sign at some remote crossroads in the middle of sprawling cornfields? What would they think about this strange red object that stands upright in the middle of nowhere? If nothing else, the person would likely view it with more curiosity than you or I. Figure 3. The Gods Must Be Crazy (20th Century Fox). The distinction between a symbol and a sign is not clearly fixed for whether something is interpreted as a symbol or a sign is largely dependent on the psychic disposition of the observer. To illustrate this point, I have selected a plot element from a movie entitled The Gods Must Be Crazy (1980). 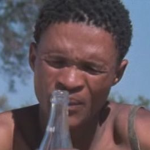 In the movie, a Kalahari Bushman finds a Coca-cola bottle that a pilot threw from an airplane overhead. The Bushman interprets the strange object as a magical totem that came from the gods (figure 3). The Coca-cola bottle, while useful to the tribe, proceeds to disrupt the social fabric of the community, which prompts the tribe to send an emissary, a man named Xi, to return the object to the gods. Thus, one could say that the difference between a sign and a symbol is question of hermeneutic degree. 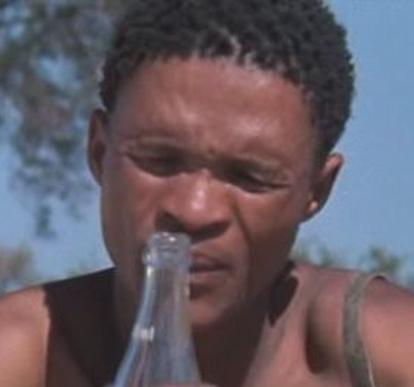 From the point of view of a Westerner, a Coca-cola bottle is just a Coca-cola bottle for it means nothing beyond itself. However, for a Bushman who has never encountered such a thing, it appears as mysterious and numinous object. Figure 4. Symbol or sign? Because of its ambivalent nature, the symbol provides for a degree of hermeneutic wiggle room (Figure 4). By not adhering to strict either-or categories of Western logic, the symbol exhibits a “both-and” quality that is often characterized as a paradox. For instance, how can light display both particle and wave-like properties? To the Western mind this is not logical and appears as an affront to our Cartesian conditioning. However, the principle of complementarity demonstrates that light is indeed “both” a wave “and” a particle simultaneously. Not until the phenomenon of light is observed does it appear as “either” a wave “or” a particle. “I do not myself become the supreme meaning or the symbol, but the symbol becomes in me such that it has its substance, and I mine. Thus I stand like Peter in worship before the miracle of the transformation and the becoming real of the God in me” (The Red Book, Jung, 2009, p. 250). Figure 5. Symbol or sign? With some rare exceptions, modern science tends to deal in signs and writes its canon accordingly. For instance, no one really knows what dark matter or energy are and science examines these phenomena through the aegis of known semiotics or signs. Dark matter, scientists suggest, “is” merely another form of matter, non-baryonic matter. Science pursues these questions through a conscious sphere of understanding that is already conceived in known signs, or what I call empirical idols. Another helpful example is the term black hole (figure 5), which was coined by the late physicist John Archibald Wheeler. A Black hole is not a hole at all. One could say that the word “hole,” a sign, was linguistically assigned to a phenomenon that ordinary language can only indirectly describe. 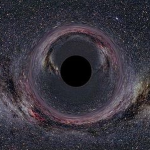 In this way, a black hole would better be understood as a metaphor than a concept. The example of black hole is just one of many ways scientific language has inadequately labeled something that is for the most part symbolic. The modern scientific paradigm is predicated on thinking and sensation. Thus, it’s not surprising that when science examines its findings they are skewed towards a rational and materialistic interpretation (thinking and sensation). Science is principally a empirical and reductive enterprise and draws from the object primarily its factual and physical content, rather than what it means. Religion and myth, on the other hand, are more guided by feeling (i.e., value judgments) and primarily engender an axiological interpretation. Thus, one could say that the symbol presents to consciousness an incomplete picture of the phenomenon that at bottom is transpsychic, or as Immanuel Kant would suggest, noumenal. “There are not many truths, there are only a few. Their meaning is too deep to grasp other than in symbols” (The Red Book, Jung, 2009, p. 291). In this sense, one could say that a symbol is a transformer of psychic energy that is still connected to the living psyche. Thus, Jung’s principal interest with symbols was their potential to transform and redirect psychic energy from the well-worn paths of instinct into positive outputs of culture. Just like the atom, a symbol can release a tremendous amount of energy that can lead to new possibilities. Jung, C. G. (1928). On psychic energy. In: R. F. C. Hull (Trans.) & H. Read, M. Fordham, G. Adler, W. McGuire (Eds. ), The collected works of C. G. Jung (Vol. 8). Princeton, NJ: Princeton University Press. Symbols. Wow. I never put this much thought into something I have always taken for granted. Your posts are so chock full of ideas that I have to read them a few times to get my bearings. I appreciate you explaining the difference between a symbol and sign in a clear way however. Bill, thanks for the post. I appreciate it. Yes, I can be long winded, however, I think its necessary to explore these nuanced ideas from multiple angles. The symbol is interesting idea. In past I used to say symbol for ever thing. I see how symbol is important to Jung psychology. Very good article. Minh. Thank you for the note. Keep in mind that the symbol is a libido analogue in a sense, it’s a manifestation of energy that the mind assembles and puts together in a way that provides some form of orientation. What we normally call this is culture. In Jung’s view, all of culture (art, science, myth, etc.) can be viewed in symbolic terms and that is why I think this is such an under appreciated idea in depth psychology. Dana, Yes, I thought that The Gods Must Be Crazy would provide a great example of what a symbol is and how it works. Great movie. I’m glad you liked the post and thank you for your comment. Interesting article. It seems that the symbol is a fairly nuanced idea. 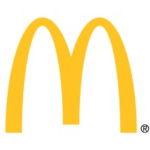 I wonder how the idea of the symbol, as you use it, could be applied to developing a better understanding of contemporary issues, such as politics. I often am amazed by what degree symbols designed to evoke emotional reactions are broadcast television, particularly during elections years. Didn’t the Nazis use symbols to brainwash an entire nation? Jackson, Indeed, the symbol is a nuanced idea and thus its ambivalent nature, capable of expressing more than one meaning at one time. To your question, I’d say that symbols, and by extension, the process of the self-regulation of the psyche in general, can throw a great deal of light on contemporary issues. One need only turn on Fox News or MSNBC to bear witness to the broad display of symbolism to boost audience numbers or to enhance the influence of an idea or a basic set of ideas. And yes, the Nazis were definitely masters at manipulating symbols to advance their twisted goals. Thanks for the comment.